Following a seven-month policy review, the American administration launched a "policy of pragmatic engagement with Burma,” while President Barack Obama formally extended sanctions for another year, Assistant Secretary of State, Kurt Campbell of East Asian and Pacific Affairs said that “The United States stands by the Burmese people in their desire for a more democratic, prosperous, and peaceful nation." Will that rhetoric sound hallow or will be follow up by actions is still to be seen. Burma’s giant neighbours, China, which boast the most populous nation on earth and India who takes pride as the biggest democratic country of the world, have made no attempt to hide their policy on Burma, when they come out openly for the military Junta against the people of Burma. Their actions at the UN Security Council and the economic relations, they have with the Burmese Generals in exploiting the country’s natural and human resources, not to mention the selling of billion dollars worth of arms to suppress the ethno democratic movement is a proven fact. Obviously the people of Burma have to look at the West especially the US for solidarity as they offered a glimmer of hope for the people of Burma. ``We have not abandoned our commitment to the people of Burma. Our strategic goal for Burma remains unchanged: we wish to see a more prosperous, democratic Burma that lives in peace with its people and with its neighbors." uttered Kurt Campbell. Such nice words fall like a sweet melody for an average Burmese, who have faced profound disappointments all their lives while Mr. Campbell has experienced only once, in dealing with the Burmese men in uniforms. However, a study of international relations has already indicated that conscious and morality plays little or no part in deciphering the policy of a country towards other nations and the Western nation are of no exception. It seems that Washington's primary concern is not human rights or the prevalence of democracy at all, but the arms trade with North Korea and the authenticated reports of co-operating on nuclear weapons-related projects even though Campbell warned an unspecified, unilateral US action if the regime did not co-operate. Until and unless the US takes a timely action Barack Obama’s policy of "Pragmatic Engagement" with the Burmese military junta is in danger of falling apart, as the generals press ahead with plans for elections and had ignored proposals for a national dialogue involving all political and ethnic groups. In fact Analyst Frida Ghitis, writing in “World Politics Review”, said the Junta had set a trap for the NLD and its decision to pull out marked "another defeat" for Obama's policy of Pragmatic Engagement with the rogue regime. Clearly after two visits (by Campbell) since last September, engagement with the regime has produced no results at all. A Burmese saying goes that “A snake sees the legs of other snakes” meaning that only a snake knows how the other snake walk and in which direction it intended to go, while other animals and human beings construe that all snake slide on their stomach. This explicitly means that knowing full well that NLD and Daw Aung San Suu Kyi would not accept the profoundly unjust electoral laws, the Junta deliberately frame it that way to oust the NLD out of the competition of which he is sore afraid. Now with the North Korean ship unloading mid-range Scud type missiles and rocket launchers, at Thilawa port near Rangoon in April, choosing the month, when the Burmese celebrate New Year in order to avoid public scrutiny, together with the necessary equipment to build a nuclear capability, the US naval base in Diego Garcia will soon be within range from the Burmese shores, in as much as the North Korean Long Range Nuclear Ballistic missiles can reach Hawaii. President Obama extended the emergency sanctions, "because the actions and policies of the government of Burma continue to pose an unusual and extraordinary threat to the national security and foreign policy of the United States," he said in a message to Congress. The extension comes just days after the NLD dissolved on May 6 deadlines to re-register as a political party. We hope that the US would follow up by actions. With the Burmese military junta unilaterally going ahead with its election plan, ignoring the wishes of the international community and the majority of its citizens, Congressman Joe Crowley, who introduced the bill in the House said, “When I led the Tom Lantos Block Burmese JADE Act, which was signed into law in 2008, I believed the administration should use the measure to implement tough sanctions. Now is the time for that implementation to begin. We need to start soon because the Burmese regime continues to commit crimes against humanity and war crimes against its people,” Kurt Cambell also added that “We must stand with Aung San Suu Kyi and the legitimate leaders of Burma and show our support through concrete actions, by implementing tougher sanctions and action on crimes against humanity—moves that have real teeth,” The people of Burma and the world are desirous to see actions not words. It is clear the US policy was not working at all with the Junta and should drop its bilateral approach and join forces with other interested parties - the UN, the EU, and particularly ASEAN now that Philippines had come out openly against the Junta and should agree more targeted sanctions to drive home the point as this is the only language which the Junta understands. Will the current American administration be able to nib the Burmese Junta’s ambition in the bud and save the possible nuclear holocaust in that region or will let it grows like North Korea and Iran when it is too hot to handle is for them to decide. 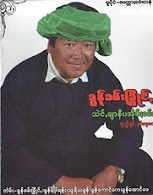 If wise heads prevails and understand the psyche and rationale of the Burmese they can easily kills two birds with a stone by giving meaningful encouragement to the Burmese ethno democratic movements, the much needed resources to overthrow the vehemently hated Junta by the people of Burma. Perhaps only then the “Pragmatic Engagement” will be pragmatic.